There you are a 15th century monk hunched over illuminating a manuscript, warming your fingers in the flame of a candle, and you happen to leave the book open, you come in the next morning to find the monastery cat has done a little copy editing of its own. 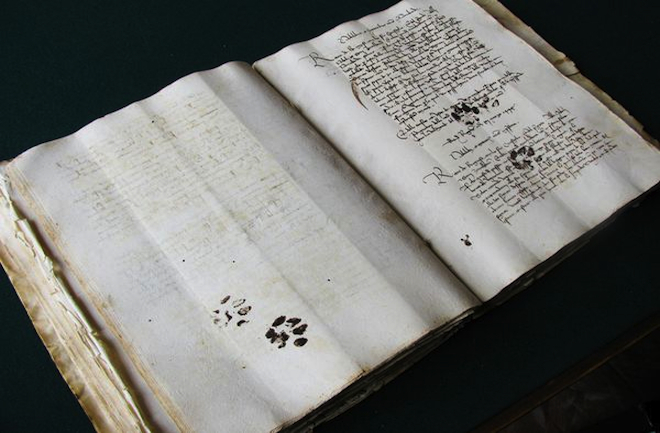 Thanks to Emir O. Filipović, a teaching and research assistant at the University of Sarajevo, who in 2011 discovered pages of the book stained with the inky paw prints we have of proof positive that cats have been ‘helping’ us with our work since the beginning. Whether it be inky paws or walking across keyboards, cats go hand in paw with books and trying to get work done despite them. We have designed a little merit badge for anyone who has made peace with their furry roommates annotations and interference. 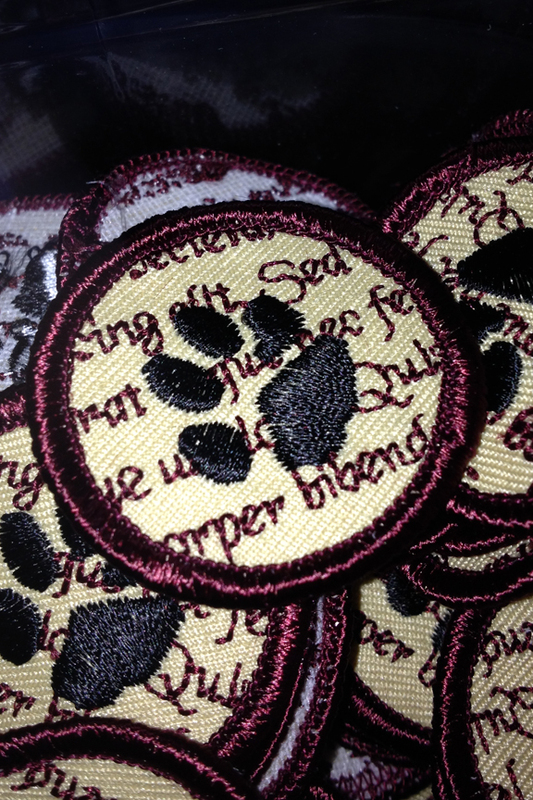 Out Biblio Cat Patch is 1.5″ the same diameter as a traditional Merit Badge and when sewn on to your book bag, work apron, or favorite apparel, will signify to other people the strife you have to endure every day trying to work around the pitter patter of inky feet. Makes a terrific gift for a fellow sufferer. This entry was posted in announcement and tagged badge, patch, product.